In order to maintain office productivity and your competitive edge, small businesses should invest in the latest technology and equipment. The good news is that you can get many of the latest office gadgets without breaking the bank. Looking for simple, fun office gadgets you can brand with your logo? Inkhead offers a variety of brandable office goodies, including flash drives, power banks, earbuds, Bluetooth speakers, laptop sleeves, and more that you can gift to employees or send to valued clients. Browse Inkhead’s products here. In an office environment, bttns are used as a shortcut to products or services, or to trigger entire workflows. This product lets you complete most office tasks like reordering office supplies, ordering a call-back from tech support, booking a vacant meeting room, and marking timesheets at a press of a button. Bttn comes with stand-alone connectivity for easy deployment, as well as integration tools. AirBar is a sleek, lightweight device that instantly turns your regular laptop into a touchscreen. Simply attach the bar to the bottom of your laptop display via magnets, plug in via USB, and use anything from a paintbrush to a gloved finger to interact with your screen. It is compatible for both Windows 10 laptops and Macs. 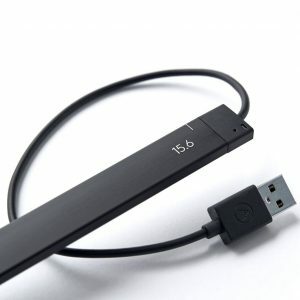 Small businesses can invest in an AirBar to use on laptops to improve interactivity in video conferences, meetings, and client presentations. One of the best tools I’ve ever used for my home office is the standing desk + treadmill combination. Using these two tools have not only improved my overall productivity, but it’s also improved my health quite a bit as I no longer am sitting all day. Drawbacks are your energy bill may increase a bit, and certain under-the-desk treadmills can be pretty expensive. If standard desks are more your style, then make sure you invest in a good ergonomic chair. Read Fit Small Business’ guide to the best office chairs. 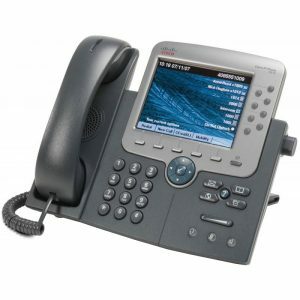 If you haven’t yet made the switch to a VoIP phone system, now’s the time. 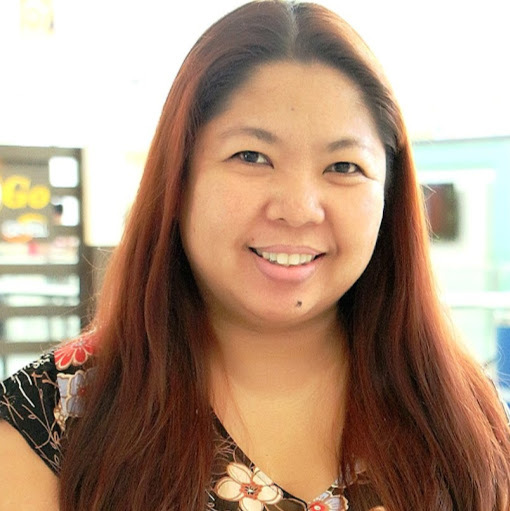 VoIP phone systems, like those from Nextiva, work off your business Internet connection instead of a traditional landline. They are less expensive than landlines and offer additional features, such as portability (make calls from your phone, desktop, or mobile device) and integrations with other software. 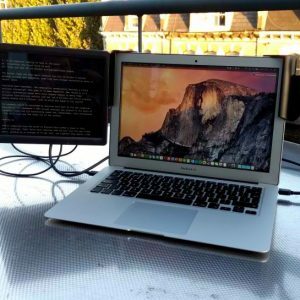 LandingZone recently launched its latest docking station for the MacBook Pro with Touch Bar. 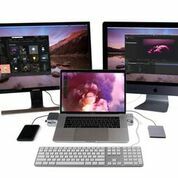 This is the company’s most powerful Apple MacBook docking station to date, designed to transform the MacBook Pro with Touch Bar into a powerful and versatile workstation, allowing you to work with multiple devices connected to your MacBook Pro. Available for the 13-inch and 15-inch MacBook Pro with Touch Bar, the LandingZone Docking Station’s compact size brings the functionality of a full desktop computer, with the ability to be brought on-the-go. 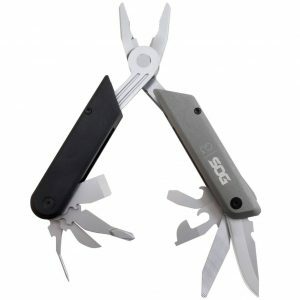 Remi Del Mar, Product Manager, Epson America, Inc.
Make sure you have a multi-tool in the office. Screws will come loose, nuts will need to be tightened, wires will have to be stripped, and packages will have to be opened. And perhaps an adult beverage or two will need to be opened to share on a celebratory occasion. When there’s no room (or budget) for a full-on toolbox for the office, a multi-tool offers a great option. Check out the SOG Q3 Baton. It’s easy to fold up and put into a desk drawer but has enough tools to get a vast number of small jobs done. Get your office into shape with a wall-mounted TV dashboard. 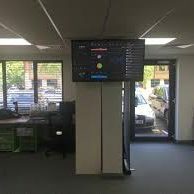 Display your business performance to the entire office by combining a web dashboard tool with a casting device like AirTame, Rise Vision, or Chromecast. It looks cool, and it’s an innovation that promotes a culture of data transparency. 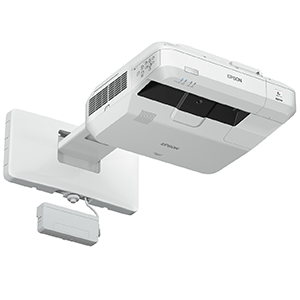 The SendPro C-Series is the next generation office sending solution. It is a digital multi-carrier platform that enables offices of all sizes to easily select the ideal sending option for every parcel, letter and flat they send, while also providing full tracking and delivering savings across carriers and up to 39 percent off USPS retail shipping rates. Businesses can now securely access package shipping, mailing services and related applications from a laptop, mobile device or the integrated Android tablet. There is nothing else on the market right now that marries shipping and mailing into a digitally connected sending device. 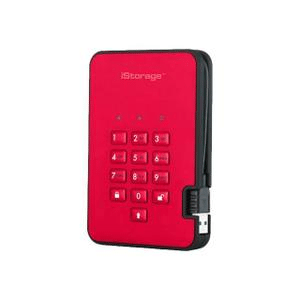 Hardware encrypted hard drives and solid state drives provide high-capacity, secure portable storage. 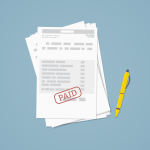 This is great for businesses that collect sensitive data and then need to transport it. Hard disk drives can save more data but solid state drives are considered to be more durable. iStorage’s HDDs and SSDs are pin authenticated and are perfect for those needing to keep their data secure and protected whether at work, traveling, or within their home office. 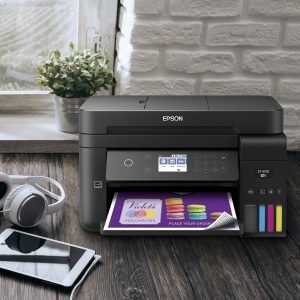 Nils Madden, Marketing Director, Consumer Marketing, Epson America, Inc.
Epson WorkForce EcoTank printers are ideal for businesses with high-volume printing requirements in both color and black and white. Epson’s EcoTank cartridge-free printers eliminate the inconvenience of running out of ink at the most inconvenient time and reduce the frequency of buying replacement ink, allowing small businesses to keep their operations streamlined and efficient. 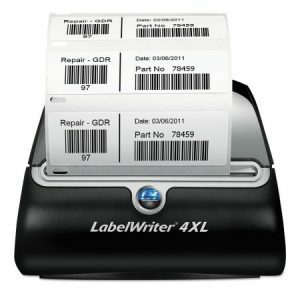 Small businesses trust their label workload to the DYMO LabelWriter 4XL – a fast, cost-effective label printing solution. 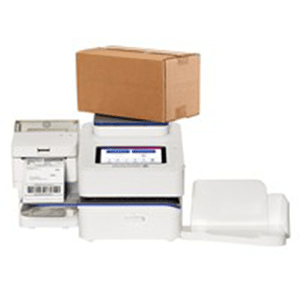 This wide-format label printer accommodates the entire line of DYMO LabelWriter labels for maximum flexibility and is compatible with a variety of popular online selling platforms and shipping carriers. 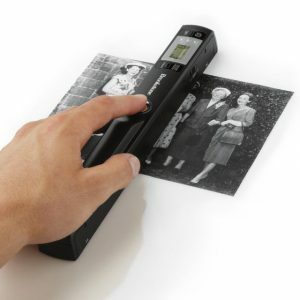 You can use this nifty office gadget to print shipping labels, warehouse labels, barcode and identification labels, bulk mailing labels, custom labels, and more. If remote work and collaboration on a computer or laptop screen is already looking a little crowded, you can try your hand on a connected whiteboard. 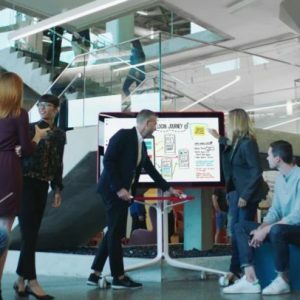 This is a cloud-based technology that uses a massive whiteboard screen perfect for off-site meetings and brainstorming. This technology raises collaborative work to new levels and makes the idea of remote working a lot more productive. A sky colored light diffuser eases the glare of conventional fluorescent lights, which can be irritating after a long period of time. The skypanel light diffuser is a replacement for your regular acrylic light diffuser panels as it serves the same purpose, but the skypanel sets a more relaxing tone because of its style. For small offices or shops, this helps in making the space seem larger because it simulates an open space, as a result, employees, and customers become more relaxed. That can mean an increase in productivity and transactions. 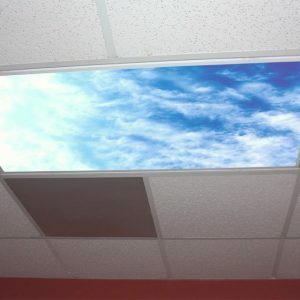 Skypanel It’s available for purchase online in a variety of designs and sizes. A WiFi coffee machine may seem odd and even unnecessary, but customization and remote management have managed to make its way to our coffee breaks. 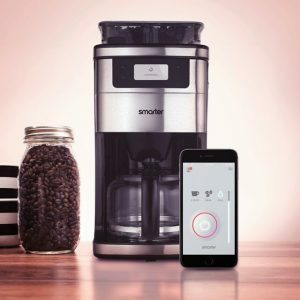 Smarter coffee is designed to improve time management and help you get through a day full of meetings. It can be customized to adjust to your and your employees’ taste preferences. It can also be scheduled to make coffee just in time for you to pick it up while it’s still hot. These features work with a phone app that works for both iOS and Android phones. You can forget about running out of your cell phone battery at work. You also don’t have to worry about incurring extra utility expense from constant cellphone battery charging by your employees. 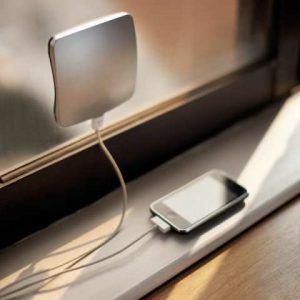 This solar window charger from XD is designed to catch solar energy from the sunlight outside your office window. This brilliant office gadget is capable of saving enough energy to recharge a mobile device. It’s a relatively small, requires no installation and can be kept inside drawers when it’s not needed. It may seem similar at first, but the dynamic glass window is different from an ordinary office window. It features remote control tinting functions that you can preset depending on certain variables, like the time of day, the height of the sun, the presence of clouds, and even the angle of the light – all connected to a phone app. There are four different kinds of tint levels depending on the glass you pick, and it is specially designed for establishments that require a lot of glass. For businesses, this technology serves as a great energy saving source by reducing the heating and cooling costs of maintaining your premises. 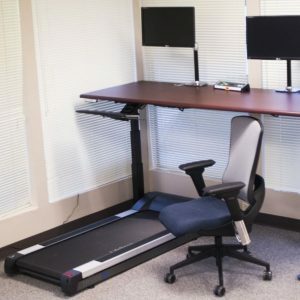 Work can easily take away our time for exercise, and while a treadmill under the work desk is a great idea, there are times that you just need to take a seat to focus on a task that needs to be done. 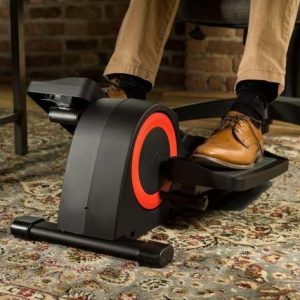 The smart under-desk elliptical helps you continue getting those steps in, even when you’re sitting down. And as in most smart gadgets nowadays, you can sync it to your fitness tracker to monitor your progress. 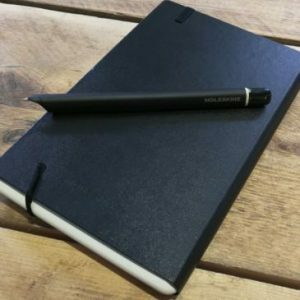 For those who miss the feel of holding a pen and writing something down, but don’t want to give up the efficiency of a computerized data input, the Moleskine smart writing set may just have the answer for you. The kit resembles an ordinary writing set. A pen called pen+ resembles a fountain pen with a mini camera at the tip, and a “paper tablet” looks like Moleskine’s popular leather-bound notebooks. The kit can be connected to and runs on iOS and Android so it can easily store all your digitized notes when you download the app on your device. 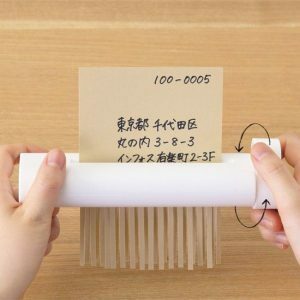 This wind-up shredder is an alternative to the usual bulky electric paper shredder in the office. It’s not as fast as the electric types, but it gets the job done while being economical. Having additional screens means being able to do more and be more productive while using your computer or laptop. 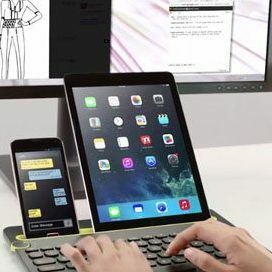 Office tech like multi screens were previously limited to desktop setups but with more and more people working on their laptops even inside the office, portable laptop monitors have started to pick up popularity. There are different sizes and resolutions available, and these monitors are designed to be compatible with most laptop brands and operating software. 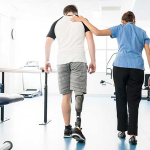 Adjustable desks are becoming more in demand with the way modern offices are adopting setups that are healthier for its employees. The height of electronic adjustable desks is easy to personalize with a one-touch button that’s able to program 4 different preset heights. It even can come with a mezzanine shelf to keep your desk organized. By now, you’re probably thinking that it’s time for an office upgrade! Give our list of top office ideas and tech must-haves a try, and don’t forget to check out Inkhead, which offers tons of brandable office gadgets for your employees and customers. Shop now. Did you find anything interesting on the list? Let us know! Or share something new with us in the comments below. This is great. 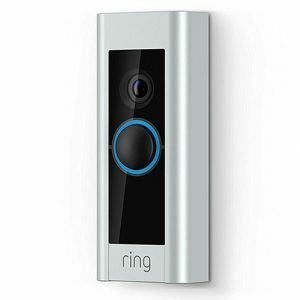 But I also think that investing in Access Control Systems is very important to enhance the security of your workplace. It also keeps employees assured. Could you please share me business address in India for products 5, 7, 10, 13, 20 and 22. We’ll post your comment for those businesses to reply via this thread if they do business in India and have a contact there for you. Best! Your post is amazing specially No. 14 Skypanel Fluorescent Light Diffuser.